These three concurrent exhibitions highlight intensive approaches to photography and archival documentation. 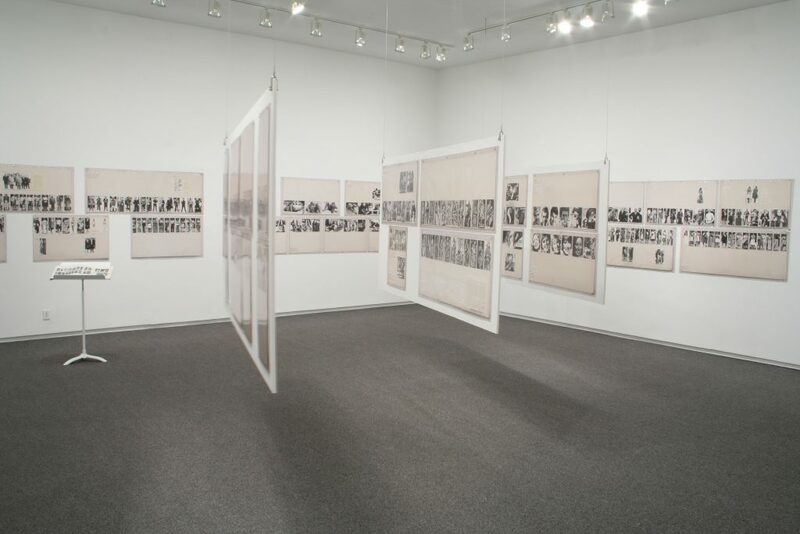 The exhibitions mark the first showing of German artists Anna Oppermann and Marianne Wex in Canada. Working predominantly in the 1970s and ‘80s, Anna Oppermann rigourously questioned what it means to be an artist. Her philosophical stance and performative approach to artmaking was remarkably prescient. She freely extended works over several iterations continually restaging and reviving originals into new configurations and mutable filiations. 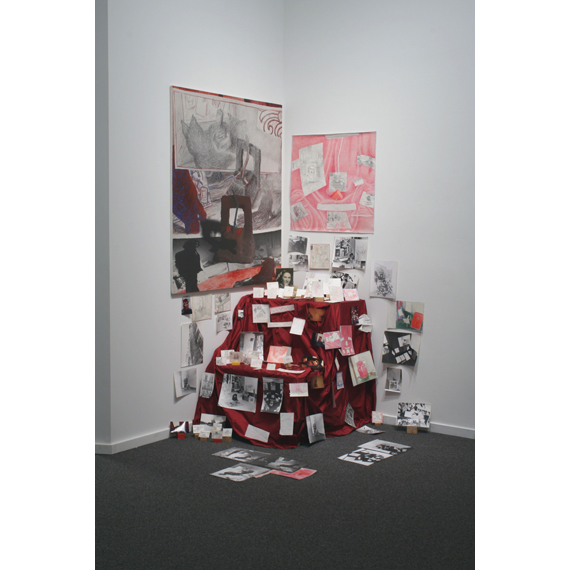 What she called “ensembles” are fragmented “still life” assemblages of photographs, paper scraps, notes, drawings, photographic canvases and objects, often displayed on and around low, altar-like podiums. Filiations features two ensembles and photographic canvases. 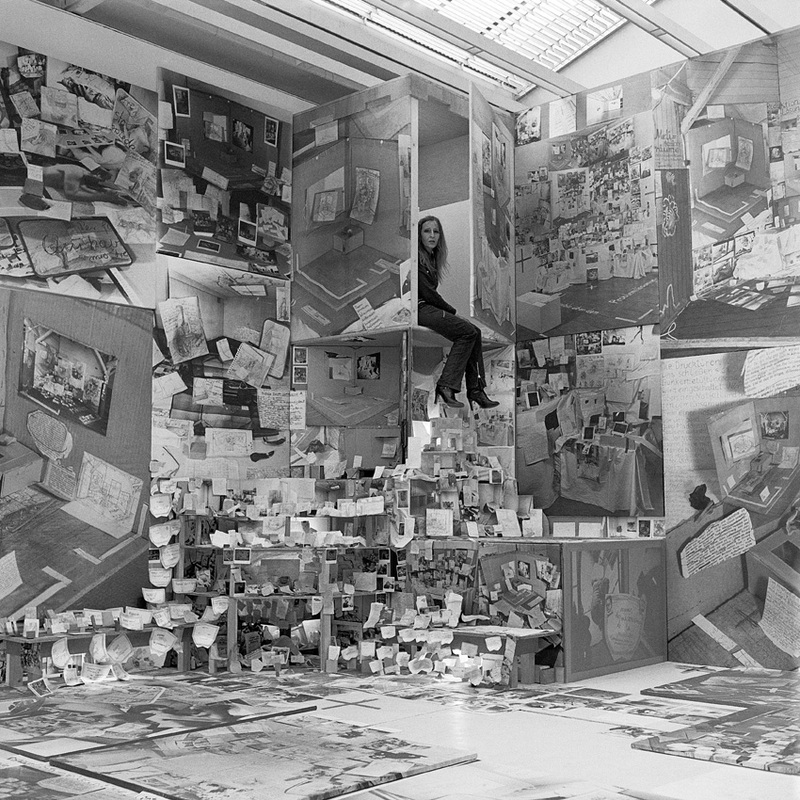 Anna Oppermann (1940 – 1993) exhibited over 60 ensembles in her lifetime. She began to exhibit in the early 1970s and had her first comprehensive retrospective in 1984. She participated in documenta 6 and documenta 8, and in Venice and Sydney biennales during the 1980s. In 2007, a major exhibition of key ensembles and comprehensive publication were produced by the Wurttembergischer Kunstverien, Stuttgart and the Generali in Vienna. 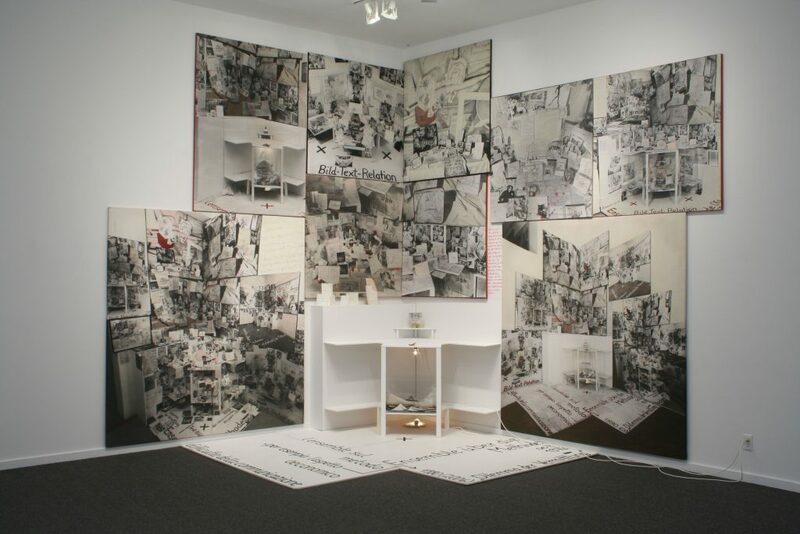 Anna Oppermann: Filiations is organized with assistance from the Galerie Barbara Thumm, Berlin and the Estate of Anna Oppermann. Andrea Pinheiro has produced a remarkable 12-volume, 2,450-page publication that documents every nuclear bomb detonation in the world since 1945. 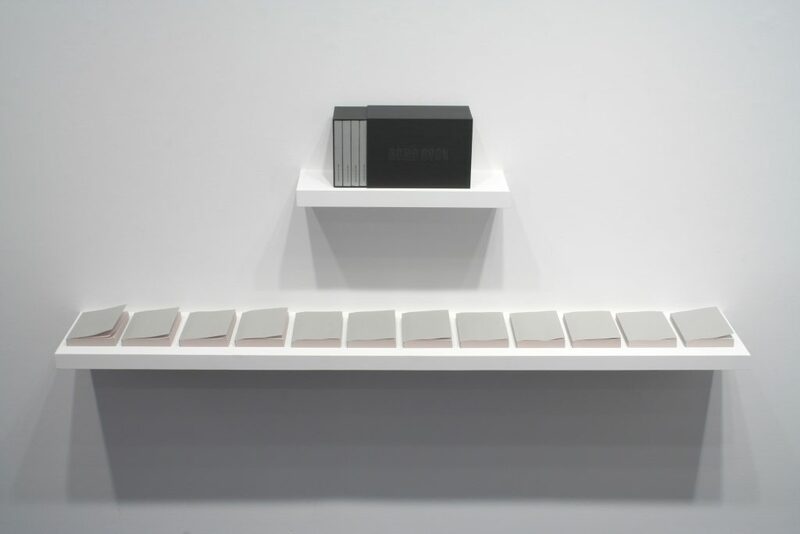 This hand-made, boxed work documents the name of one bomb on each page, and where no name exists, the page is left blank. 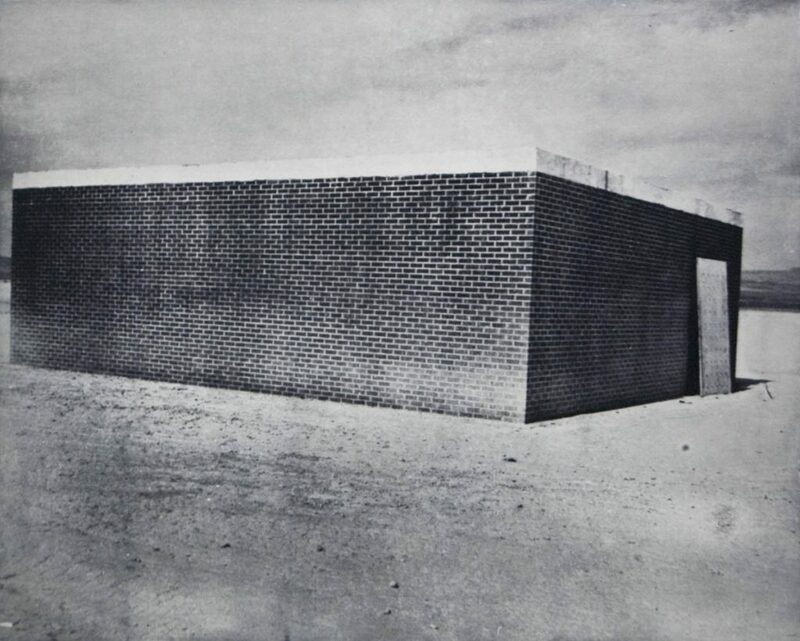 Pinheiro has spent a decade conducting historical research into nuclear bomb tests, especially in relation to the history of photography, such as how fogged film led to the discovery of radiation. The artist has produced a highly unique historical archive that, significantly, contains no images but is simply a register of names, that gives every nuclear event equal significance. The durational experience of reading the books foregrounds the limits of representation. Pinheiro is a Vancouver based artist, curator and educator who is currently teaching at Algoma University in Sault St. Marie, Ontario. This book work extends from her mixed-media works that investigate the technology developments of photography as a chemical interaction. Her photography, printmaking, sculpture and painting he has exhibited widely and is represented by Republic Gallery, Vancouver. From 1972 to 1977, Marianne Wex took thousands of photographs of women and men in the streets of Hamburg. 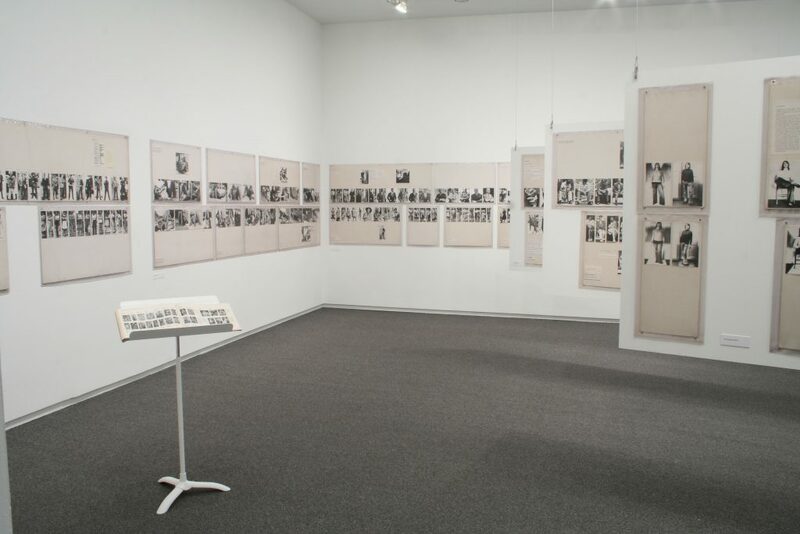 These images, together with re-photographed images from mass media, were assembled into an indepth archive and a book entitled Let’s Take Back Our Space: “Female” and “Male” Body Language as a Result of Patriarchal Structures (1979). This collection forms a remarkable sociological study of how we create and present ourselves, and the degree to which gender-specific conditioning and hierarchies are reflected through everyday pose, gesture, and pre-verbal communication. Marianne Wex was born in 1937 in Hamburg, and now lives in Höhr-Grenzhausen, Germany. She studied at the University of Fine Arts in Hamburg and taught there from 1963 to 1980. 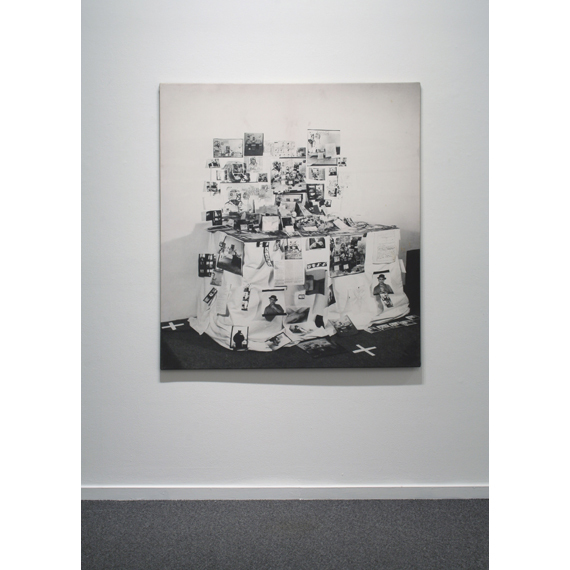 In the late 1970s and early 1980s, she showed her work in national and international solo and group exhibitions (including at NGBK Berlin, Frankfurter Kunstverein, Bonner Kunstverein, and ICA London). Wex’s photo panels were shown in 2009 at Focal Point Gallery in London and in 2012 at the Badischer Kunstverein in Karlsruhe, Germany and Yale Union in Portland Oregon. Avigail Moss has been conducting indepth research on the Marianne Wex project for many years. Marianne Wex: Let’s Take Back Our Space is organized by Yale Union, Portland, Oregon, with assistance from Bildwechel Archive, Hamburg, Germany. Andrea Pinheiro and Marianne Wex will be in attendance and introduce their work. 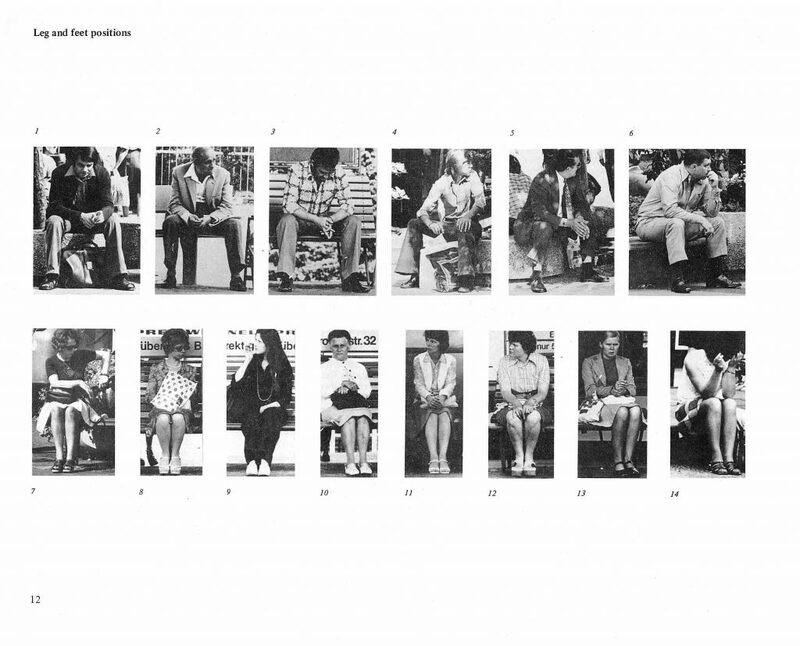 Marianne Wex, page from â€œLeg and Feet Positionsâ€ in Let’s Take Back Our Space: â€œFemaleâ€ and â€œMaleâ€ Body Language as a Result of Patriarchal Structures, 1979, courtesy Frauenliteratur Verlag.